Home / Mounzer Soued, M.D. Dr. Soued was born in Aleppo, Syria. He attended The Aleppo University in Aleppo, Syria where he received his Bachelor of Science and his Medical Degree. He completed his Internal Medicine Residency and his Gastroenterology Fellowship at The University of Tennessee College of Medicine in Memphis, Tennessee. He completed his post-doctoral research fellowship in Lipid (fat) at the University of California at San Francisco. 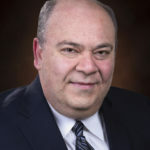 A Diplomate of the American Board of Internal Medicine in Internal Medicine and Gastroenterology, Dr. Soued has been in private practice in Pensacola since October 1999.